The Obama administration is forging a pathway for Iran to purchase American-made airliners that are likely to be converted for use in the Islamic Republic's military, drawing concerns on Capitol Hill amid a flurry of recent attacks by Iranian-backed forces on U.S. military assets in the Middle East, according to conversations with lawmakers and fleet information obtained by the Washington Free Beacon. Iran recently announced that it had struck deals with the U.S. Boeing airline manufacturer and France's AirBus that would permit the companies to transfer technology and provide training to help the Islamic Republic produce equipment that would strengthen its aging fleet of American-made planes. Iran currently uses at least six Boeing aircraft as part of its air force fleet. These planes were put on display last week when Iran launched a series of war drills aimed at deterring Western attacks. As Iran angles to purchase 80 new jets from Boeing, which has lobbied heavily in favor of these sales, the Obama administration is being accused of helping to pave the way for Iran to transfer these commercial liners for use in its war fleet, according to lawmakers and sources familiar with Iran's military buildup. Iran has a history of transferring commercial jets purchased from America to its air force for use in military operations and the transfer of weapons and other illicit material abroad. Lawmakers worry that the White House's efforts to facilitate new airliner sales to Iran Air, the country's national airline, will help Tehran bolster its war fleet at a time when it is threatening military action against Western forces in the region. "We should not be surprised to see Iran's latest military demonstrations feature Boeing 747s," Rep. Peter Roskam (R., Ill.) told the Free Beacon. "It is incredibly irresponsible for any American company to sell products to the Islamic Republic that can easily be used for military purposes." 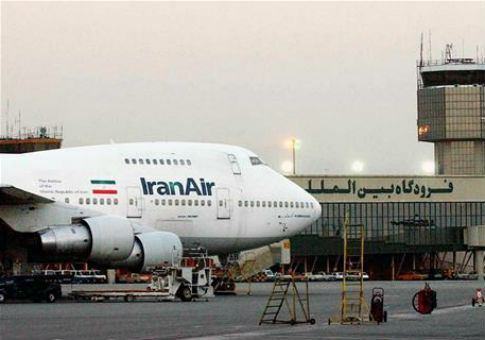 The Free Beacon has learned that Iran converted several Boeing planes sold to its commercial outlet Iran Air for use in its air force fleet. One Boeing 747, for instance, was sold to Iran in the mid-1970s after being used by the now-defunct TWA airlines. After being used by Iran Air, the plane was transferred to Iran's Air Force, which still operates the plane, according to fleet information. Several other refurbished planes were also converted for use first by Iran Air and then transferred for use in the country's air force, according to open source information. Iran's use of these U.S.-made planes in its war fleet has raised renewed concerns from U.S. officials on the heels of reports that Boeing and AirBus will train Iranian engineers to repair these planes on their own. This would enable Iran to reverse engineer key technology for use in its military and potentially skirt any new international sanctions that may be placed on the program, according to sources familiar with Iran's military activities. Iran also has inked a deal with Russia to co-produce Su-30 fighter jets, which are similar to American strike force planes such as the F-15E. "It seems the Airbus and Boeing deal includes technology transfer, education, and participation in producing aircraft parts and equipment," Maghsood Asadi Samani, the secretary of Iran's airline companies organization, was recently quoted as telling Iran's state-controlled press. Iran has made it a priority in recent months to rebuild its aging air force and other military assets. One senior congressional source involved in efforts to prevent these sales told the Free Beacon that the Obama administration is effectively helping Iran rebuild its war fleet with American-made planes. "This is insane–an American company is rebuilding the Ayatollah's Air Force right before our eyes," the source said. "They're not just selling aircraft either–they are cutting the Iranians into the production process, building supply lines within the Islamic Republic so the regime can insulate itself from any future attempts to impose sanctions. This is basically the equivalent of setting up a factory to build Sherman tanks in Munich in 1938." Sources told the Free Beacon that Boeing has been lobbying heavily on Capitol Hill to ensure these new deals with Iran are not blocked. "Boeing's excuse for providing Iran with airplanes is that they're not doing anything illegal," said one senior congressional adviser who works on the matter. "What they don't say is that their sales are only legal because Boeing helped to change the law, by having their paid lobbyists push the Iran deal. And that's how you end up with the insane situation of an American company providing airplanes to American enemies." A spokesman for the Treasury Department, which oversees licenses for these new sales, told the Free Beacon there are conditions in place to ensure the planes will be used for commercial aviation exclusively. "The recent licenses to Boeing and Airbus include strict conditions to ensure that the planes will be used exclusively for commercial passenger aviation and cannot be resold or transferred to a designated entity," the spokesman said. "In the text of the JCPOA, the U.S. government reserved the right to revoke the commitment to license the export of commercial passenger and related parts and services if we determine that licensed aircraft, goods, or services have been used for purposes other than exclusively civil aviation end-use, or have been re-sold or re-transferred to persons on the Specially Designated Nationals List." Update 6:37 p.m.: This post has been updated to reflect comment from the Treasury Department. This entry was posted in National Security and tagged Air Force, Iran, Military, Obama Administration. Bookmark the permalink.